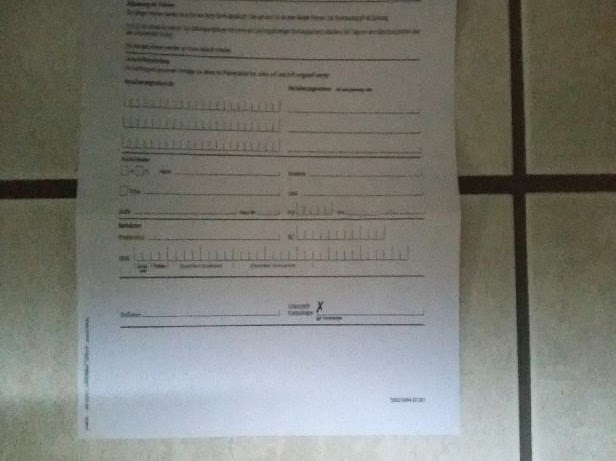 In my job as a software developer for HMM Deutschland, i received a requirement to preprocess and enhance binary images of documents taken in the field with a Tablet or Smartphone. 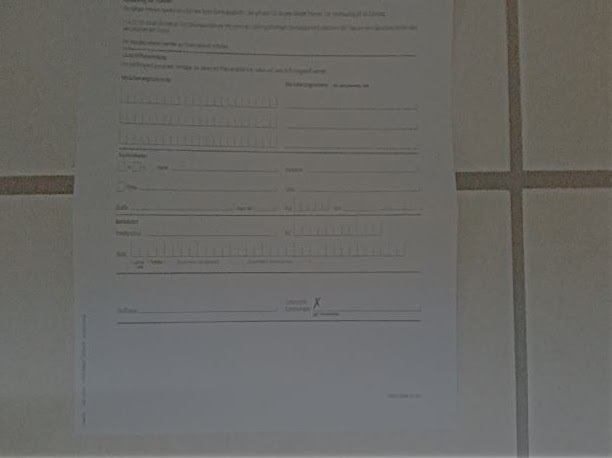 The people making these pictures are not professional photographers and do not have the knowledge nor the time to model the lighting to produce a perfect illuminated and sharp picture of the document. The result is loss of detail and strong luminance changes within one image, making it hard to process further down the pipeline. This is not a complete representation of our complex human vision system but it already presents interesting properties that can be involved for a enhanced image processing experience. OpenCV has a implementation of this model in its contributed section under the bioinspired module(2). OpenCV documentation can be found under 3. Since i favor OpenCV on caffeine i added the bioinspired module to the JavaCV project. At this time it is parked on pull request #282 in the javacpp-preset project, meaning for now you have to build it yourself. Samuel Audet did a great job with JavaCPP and describes how to do this on the Bytedeco github pages(4). 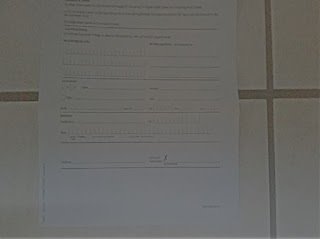 The first image is a picture of a document taken by my mobile phone having a lot of noise and luminance variation. The second picture was processed with the retina model using its standard settings. The luminance difference and noise were greatly reduced. The retina model has quite some parameters to play with so have some fun. Herault Jeanny. Vision: Images, Signals and Neural Networks-Models of Neural Processing in Visual Perception. World Scientific, 2010. I am using the JBoss KIE Server and Drools for some time now in the Java Domain, telling my colleagues, who are mostly PHP experts, how great it is to get the spaghetti code out of my imperative code base. After getting on there nerves one too many times, they nailed me to give a presentation on the subject and find a way for letting the PHP fraction benefit from this great piece of technology. Since i already introduced the Apache Thrift(1) protocol (without the underlying transport part of the Thrift stack) a while ago for binary integration with Java based micro-services, it seemed natural to extend the KIE Server ReST transport with Apache Thrift. 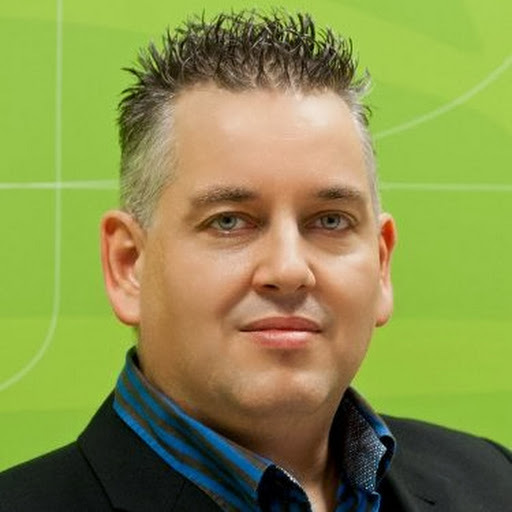 The JBoss Principal Software engineer Maciej Swiderski wrote a great blog(2) about the new possibilities for extending the KIE Server. So why add Apache Thrift to the equation, since we already have JSON/XML and even SOAP right out of the KIE Server box? There are a number of Protocols to choose from within Apache Thrift, but for optimal performance there is only one: TCompactProtocol. It is the most compact binary format which is typically more efficient to process than the other protocols. The project is published on github(3) and consists mainly of two parts. The org.kie.server.thrift repo and the thrift-maven-plugin repo. Please build the thrift-maven-plugin first as it is a dependency for the server. It contains the Thrift compiler version 0.9.2 for Windows and Linux (tested on Centos / RHEL) for compiling the Thrift IDL files. The org.kie.server.thrift repo dowloads the KIE Server war file, extracts it, adds the Thrift extension and repackages the sources into a new war file ready for deployment. Tested on Wildfly 8.2.1. How to setup a KIE server and accompanying workbench is explained under (4). Test facts and rules with matching PHP and Java clients are also provided under (3). From the view point of the KIE Server there is a known and a unknown model. The known model consists of the objects used internaly by the KIE Server to handle its commands (Command pattern). These objects are mirrored to IDL in the kie-server-protocol maven module to make them available to all Thrift supported languages. The unknown model is ofcourse the graph of objects that needs to be transported into the KIE core engine for execution. The unknown model must also be designed with the Thrift IDL so all objects that have to pass the Thrift protocol layer are of type TBase. These two object models force a sequential two step (de)serialization. In the first step the known model is (de)serialized revealing the KIE Server internal objects. This gets handled by the Thrift message reader and writer class that get registered on the resteasy framework, as used by Wildfly, for the application/xthrift content type. These known objects contain binary fields holding the unknown object bytes. For the second deserialization I am forced to use a not so smooth a trick. Since there is no way to tell by the bytes what type is represented (due to the compactness of the Thrift TCompactProtocol which does not deliver a class name like xstream), the fully qualified Java class name from the IDL generated objects must be provided within the transporting known KIE Server objects. Now the (de)serialisation can take place using the classloader from the deployed KIE Container holding the unknown object model. On the client side deserialisation after reply is easy as the models are both known. To allow other languages the use of Java objects like BigDecimal, which is great for monetary calculations, there are integrated converters with Thrift IDL representations in the maven kie-server-java module to ease development. If such a TBase Java representation is not wrapped within another struct it is converted automaticaly. Wrapped represenrations (forced to bind to a TBase type) can make use of the static conversion helper methods. Please study the source code for further details on the combination of technologies used.